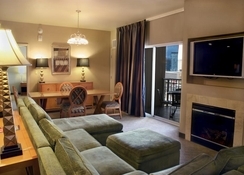 The Platinum Hotel & Spa combines style, sophistication and comfort to offer a plush Las Vegas holiday stay. 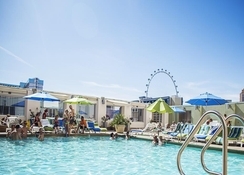 Differing from other Las Vegas hotels by offering a lower-key non-smoking, non-gambling haven, the Platinum Hotel & Spa is the perfect retreat for those seeking a quiet oasis that remains within easy reach of the lively Strip. With the emphasis on relaxation and comfort, this 5 star Las Vegas hotel is distinguished by its spacious luxury suites – three times bigger than the average Las Vegas hotel room -, fitness facilities and the WELL Spa & Salon, as well as a deluxe dining opportunities at the in-house restaurants. 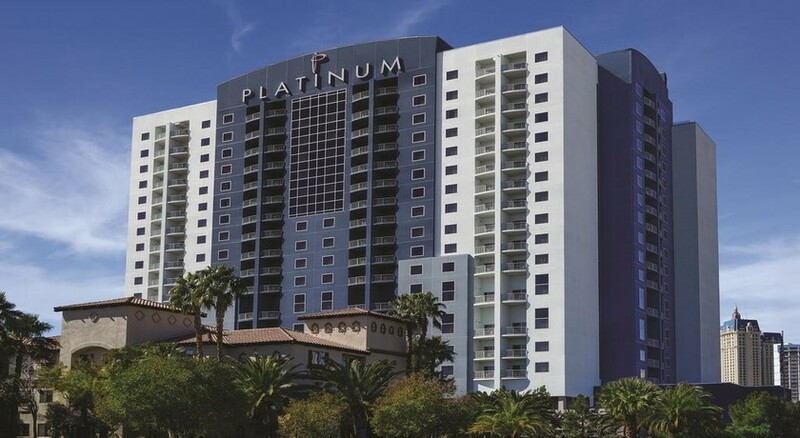 The Platinum Hotel & Spa is located just a block away from the Las Vegas Strip, at the corner of Koval and East Flamingo Road. This 5 star Las Vegas hotel is central to the city's top attractions and is only a short walk from the Ceasars Palace Monorail. Las Vegas’ McCarran International Airport is 1.8 miles away, taking 6 minutes by car. As a non-gaming hotel, The Platinum Hotel & Spa emphasises its sophistication and understated luxury, as represented by the plush accommodation. The all-suite Platinum Hotel & Spa features classic décor and is endowed with a floor space up to three times larger than the average Las Vegas hotel room. Features include Wi-Fi facilities, fully equipped kitchen areas, living quarters, en-suite bathrooms and walkout balconies with stunning city views. Pamper yourself in the whirlpool tubs for two or keep yourself warm and cosy with the electric fireplaces installed in the living rooms. Additional amenities include air conditioning, refrigerators, flat-screen TVs, showers, hair dryers, high-end toiletries and plush linen. Kil@wat is the one-stop dining destination of the hotel, serving a wide variety of dishes. Escape from the bustle of the city to discover a warm retreat, where artistic ambience combines with great service in creating a truly memorable gourmet experience. Equally delectable is the hotel’s poolside menu, which consists of light fare and speciality cocktails. 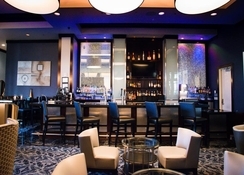 For something quick to grab before you head out to the Strip, stop by at the hotel’s lobby bar Stir Lounge. 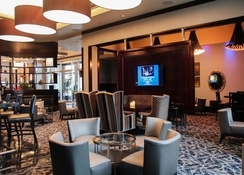 Take advantage of the half-priced beer, cocktails and appetisers during the daily happy hours from 4:00 pm until 7:00 pm. Relax and rejuvenate at Platinum Hotel’s WELL Spa and Salon, where trained therapists line up to pamper you with decadent facials, relaxing deep tissue massages and much more. Every now and then, the Spa features special packages to relieve stress and stimulate your senses. 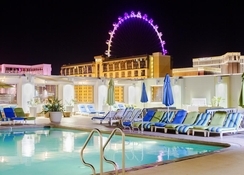 Stay fit in the state-of-the-art gymnasium or stretch out by the poolside sipping a refreshing cocktail, then when evening comes, take the short walk towards the Strip for an evening of gambling, partying or just good old retail therapy.